So what is the product’s selling point? The biggest one is four-person simultaneous gameplay and the way players can join or leave at any moment. Four-person simultaneous play was part of the first of the three lost Kirby games, and this time we finally did it. “Multiple players in a side-scroller” is something Miyamoto-san has wanted to do for a long time. 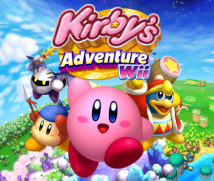 We had tried it multiple times with Mario and Luigi, like in Mario Bros.18 We finally achieved four players for Mario with New Super Mario Bros. Wii19, and now after 11 years of twists and turns, it has come true for Kirby. 18Mario Bros.: An action game that first appeared in arcades in June 1983. 19New Super Mario Bros. Wii: An action game released for the Wii console in December 2009 in Japan. The first Super Mario Bros. game to feature a four-person multiplayer mode. Yes. I love Mario, but I wanted to do something a little different from New Super Mario Bros. Wii. With it, you return to the World Map and set up the Wii Remote controller to increase players. The specs are attractive and it’s highly stable, but I wondered if we couldn’t do something more drastic and used the Helper system in Kirby Super Star Ultra as a reference. You press Select and a Helper appears for an ability you have inhaled. That Helper system stems from a suggestion Miyamoto-san made once when (Masahiro) Sakurai-san20 and I went to Kyoto for a meeting. 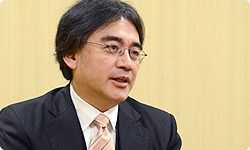 20Masahiro Sakurai: SORA, Inc. representative and game designer. 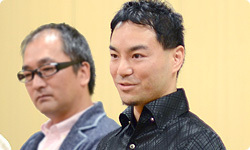 During his employment at HAL Laboratory, Inc., he was involved with creating games like the Kirby series and the Smash Bros. series. That’s right. I thought it was amazing. Allowing new players to join and leave anytime was quite difficult, but as long as you have the Wii Remote, anyone can join in a flash. It’s revolutionary and resulted in game developments that allow players to enjoy aggressive gameplay. How did you determine game difficulty? riotous scenes and prepared a way for the characters to carry items . They’re new items that Kirby can carry around once he touches them. It’s a system like in Kirby 64: The Crystal Shards, but it’s the first time in the series that, unlike Copy Abilities, you carry around special items and perform actions. I suppose I don’t remember Kirby ever carrying items around. That’s right. We drew upon elements you might see in a variety television show, like cannon balls coming out one after the other from a cannon you’re holding, or bombs swelling and blowing up. You’re like, “I’ll pass!” or “I don’t need that!” or “Bring me that!” The carry items feature is a new element that can be fully enjoyed alone, but they’re even more fun in multiplayer mode. Usually, your attacks won’t damage the other players, but the attack determinations are different for items that you carry. They’re set to include the other players, so anything can happen! Does that change multiplayer gameplay? Yes, it changed a lot. You can fight over the items. The player who has a copy ability will tend to become the hero, but even among players who don’t have that ability, once someone gets an item, the pace of the game changes considerably. That setup is similar to items in the Super Smash Bros. series21. It really is amazingly well done. The programmers had been told, “First, make a single-player game,” then it was “Actually, we had something more in mind,” and in the end the programmers were thinking, “We want to make four Kirbys possible!” Is it mere chance that they were on exactly the same wavelength? 21Super Smash Bros. series: A series of fighting action games developed by HAL Laboratory and released by Nintendo. The first game was released for the Nintendo 64 system in 1999 in Japan. Um, I should use this chance to apologise for something. We definitely wanted to make a four-player game. But at first, you said we should start by making a single-player game. So, rather early on, we secretly agreed with HAL Laboratory to eventually make it a multiplayer game. In other words, we shared a desire the whole time to expand it for four players. We prepared for the day when we wouldn’t need to worry any more about it as a single-player game and could tackle multiplayer gameplay. That’s why it went so smoothly once we started seriously talking about four players. I imagine there were all kinds of difficulties in making a multiplayer game in which players can join or quit at any time. How did you conquer those? That’s right. There were a lot. A character who came in would suddenly disappear from the screen, or be inhaled and spat out by another character only to then be nowhere to be found. At first, there were nothing but unexpected problems, but then we began to understand what kinds of situations were dangerous. I watched the programmers from a distance, and just when I thought they had a grasp of that, they quickly resolved it. Level design is crucial for this kind of game. It’s hard to design in consideration of both single-player and multiplayer modes. How did you overcome that? We worked out something special for that. We established a workflow from the level designers making a map to me checking it. The level designers were in the next booth, so as soon as they made something, I would think it over with them and convey the necessary adjustments. How many level designers were there? Quite a few lent support, but only one made most of the maps. Since there was only one, his know-how built up. Watching from the side and talking with him as he went was much faster than simply supervising his work. Because you could give feedback more often. Did you devise anything special for balancing both single-player and multiplayer gameplay? To be honest, there’s something I wish we had handled better. Once we started developing for four players, we found all these places that couldn’t be cleared on each other’s backs. There were lots of stages that couldn’t be played the way we had imagined with four or three players. We didn’t do anything special, but just adjusted the player-characters and maps until each place was also fun for multiple players. And by reworking the map designs again and again, we raised the degree of completion. If the programmers had been able to raise problem areas faster as we went along, that burden could have been lightened. The level designers in particular struggled with elements like four-person gameplay and Super Abilities. About once every six weeks, there was an occasion for making a progress report to Nintendo. Each time, we set the goal of completing it one level at a time. Yes! (laughs) I was lucky to have had so many team members who would stick with me through such gruelling times!